This would look great with a maxi dress, would be perfect for festival or casual wear, for the summer months or to compliment a black dress on a day or night out. Perfect for a loved one for a birthday present or just to treat yourself. Please see pictures and product specifications for further detail and contact me before purchasing if you have any queries. Main colour\/s of beads<\/u>: Brown, Light brown, terracotta, Orange, Cream, Light grey, Light wood and Green. 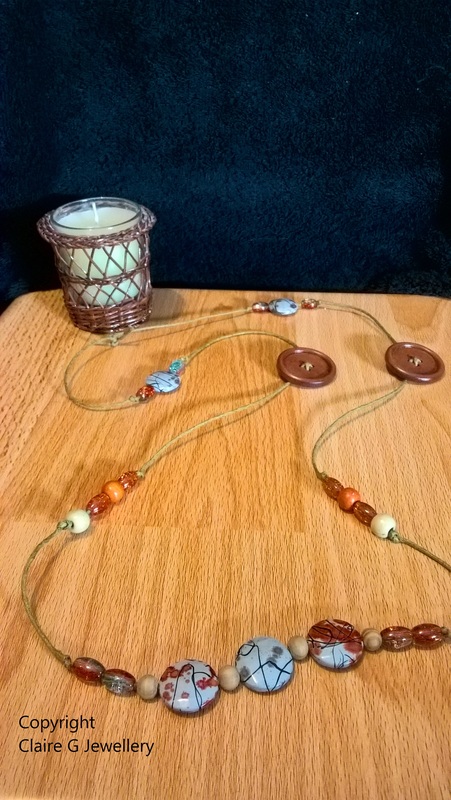 Bead materials:<\/u> Acrylic discs, crackled oval glass, wooden buttons and round wooden beads. All items are posted within 2 working days of receiving cleared payment, via Royal Mail RECORDED 2nd class delivery, which takes 2-4 working days to arrive. A confirmation e-mail will be sent directly to the buyer to advise when posting is taking place. Please allow up to 5 working days for your item\/s to arrive. All my items are handmade, brand new and as described. 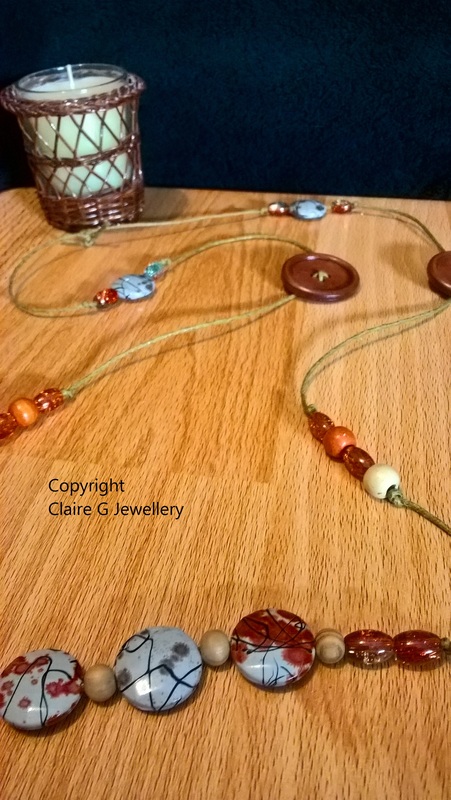 I pride myself on offering affordable handmade jewellery and gifts and want all my customers to be happy with their purchase. Please read the full description, terms of sale, allergy information (where applicable) and postage costs in full before purchase, as all sales are final. 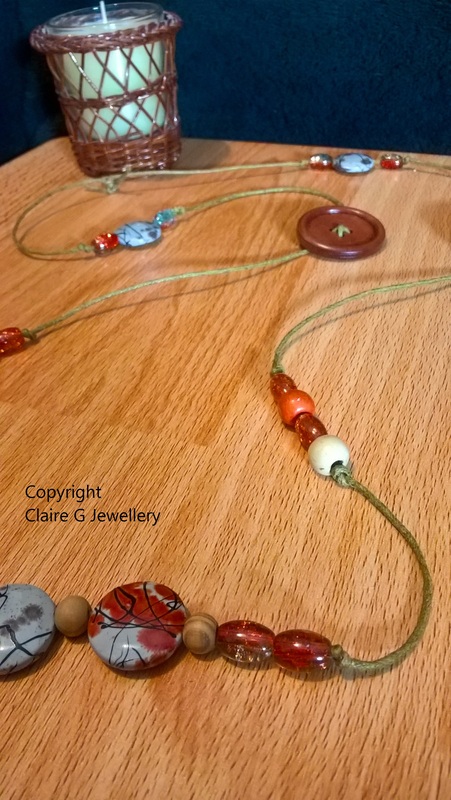 Main colour/s of beads: Brown, Light brown, terracotta, Orange, Cream, Light grey, Light wood and Green. 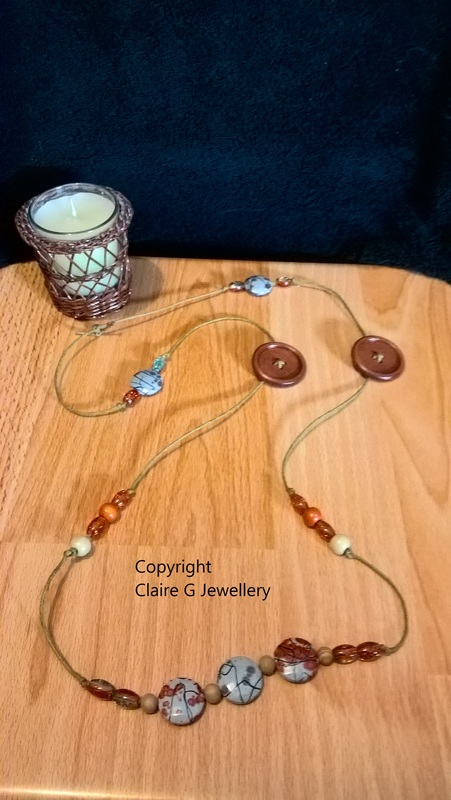 Bead materials: Acrylic discs, crackled oval glass, wooden buttons and round wooden beads. Please allow up to 5 working days for your item/s to arrive.